CIRCA 1967 - Titan III's first stage is unloaded from a C-133. hd00:241970s: NASA titled rotor airplane flies and hovers in air. 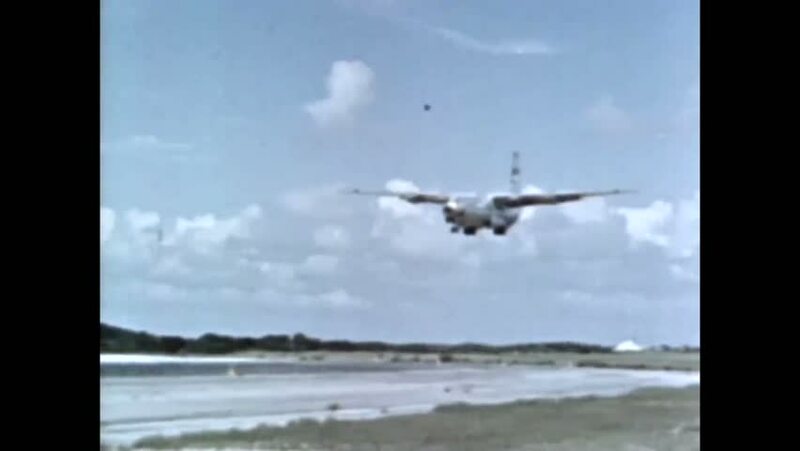 Commercial airplane takes off into air. hd00:51CIRCA 1940s - A pilot flying in a North American Aviation P-51 Mustang warplane engages in aerial combat with an enemy fighter over Japan. sd00:32Helicopter Hovering high over Rio at eye level. sd00:10LONDON, ENGLAND - CIRCA JUNE 2007 - Handheld shot of plane passing overhead outside London's Heathrow airport… one of the busiest in the world with huge airline traffic congestion in the skies.